This site will be your guide on how to or how not be a hipster. Hey! If you are reading this you are probably a fan of this blog! Well then email us! There is our fan mail email: fanmail.hipstercentral@gmail.com If you like this site... email us! Any comments, suggestions... email us! You could always google+ Lewis The Second:) Have fun! Okay, lets cut to the chase, I know your secret. You want to be a hipster, oh and you over their, in the flannel shirt to the left, you don't. for all you who really don't want to be hipster, that means your not "being your inner self" which is what hipster is all about so your not hipster! Calm. For all you hipsters in hiding. Yes, your a hipster, yes you want to be a hipster but you don't know if it's the true you. 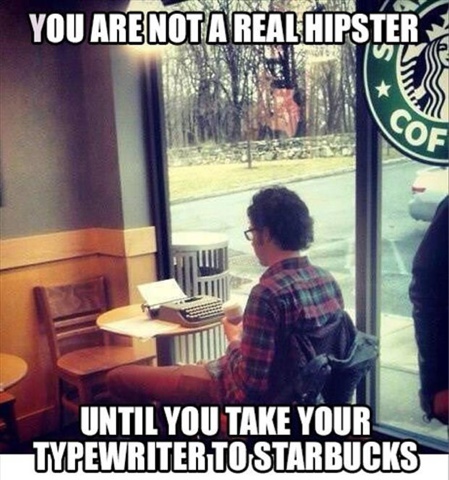 Don't worry, you ARE hipsters. Hipsters just want to be themselves, and that's your goal. For all you "hipsterz" (yes, "hipsterz", a wannabe hipster. 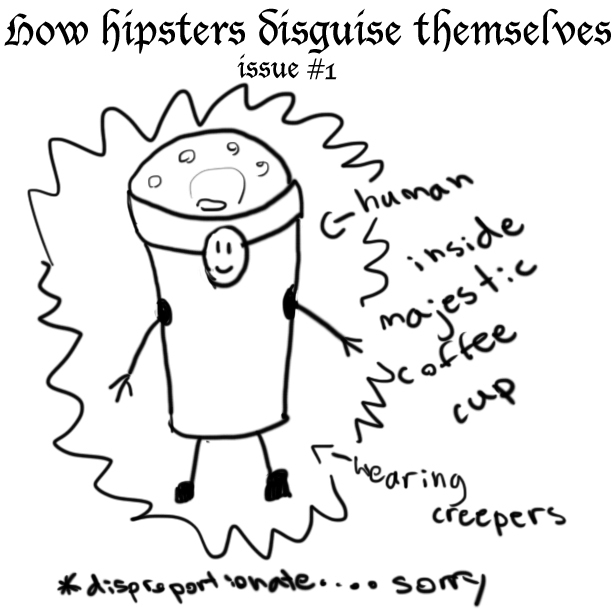 ), you're not hipster. If you are trying to be something your not, that not in the hipster spirit. Come on. Wannabe hipsters are annoying! Figure this, their ain't no hipster like a non hipster. I have taken the liberty of starting a new comic which shall be posted every fortnight. 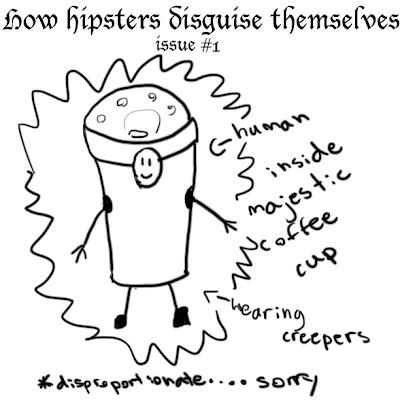 It is documenting the starnge ways hipsters have been seen disguising themselves. and be aware that I indeed realize how arrogant that last sentence sounded. and stay out of gangs. Oh didn't see you there... Sorry that we (us people dubbed the "Lewises") havent been posting all too often. I recently rediscovered the ye' old photo shop that I forgot about around a month ago. While anyways, I made a little graphic which I thought I would share. It seems Tumblr worthy.... and kind of hipster-ish. Please be sure to request and comment about graphics and if you like them. I was on tumblr and was like "I see this a lot. I shall make one of this". Be sure to post it on every single social networking thing you have. Sorry for not posting weekly comment lately. Here is a funny pic to make up for it. Please keep in mind it is considered hurtful to call someone mainstream a hipster and vice versa. 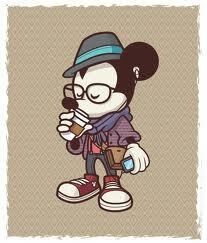 Hey mickey your so fine, your so fine you blow my mind, hey mickey, totally works in this circumstance. This is a totally hipster look . As you see in the picture above, the hipster look normally consists of a cup of coffee, earbuds, a flannel shirt, a scarf, and iPod, Raybans, and a satchel. It sometimes consists of a hat, a jacket, sneakers and jeans. As you can see, the description completely matches the picture, just to prove to everyone mickey mouse has a pretty hipster look once he is not at his super epic clubhouse! Hey! Thank You if you have ever visited our blog! We have over 511 page views and we have only had this blog for about a month and have done no advertising! That means you guys have helped us out quite a lot! 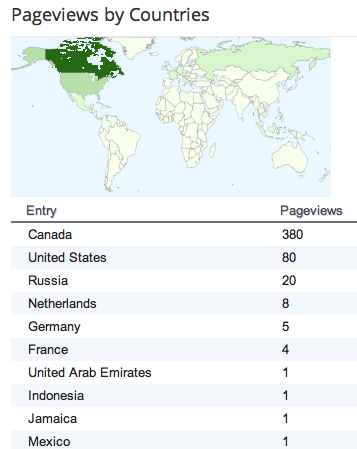 Thank You for all of the page views and comments and everything! As a surprise we are going to start a tumblr!!! Yay! Please check out our tumblr and follow us on tumblr! Hey! 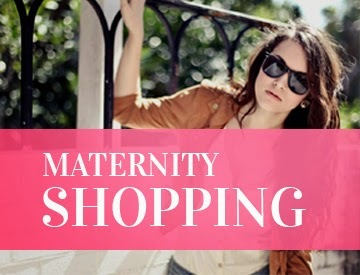 We want to thank our amazing polyvore creators that create the outfits we put up on this blog. they are zolu2 and dagnychase! Okay, so lately people have been using the word hipster very loosely. I think we need to clear up what the term hipster actually means. Hipsters are people who like to be original and not conform to societies rules. they don't like popular things as then they would be associated with conformists and mainstream items. If something becomes popular, I can guarantee they liked it before it was popular or mainstream. If you are upset about liking something, and then it becomes popular you could say that thinking that was 'hipster' of you. Now that that is cleared up I would like to thank the active blog followers who like and comment and read our posts! Thank You for spending the time on our blog! For all wishing to be hipster I have a new style update that will make you look like you are on of the hipsters. This summer/fall grunge is back in! I mean flannel shirts, beanies, large stud earrings, bulky jewellery, flat caps, converse, vans, combat boots! Even neck bandanas and office shirts are in! Just letting you know as you don't want to look stupid in front of the other hipsters. Grunge is a mix of pretty, comfortable, useful and punk. Try putting some of each category in each outfit. For example Doc Martins (punk) with denim overalls, a cute pink blouse with a bandana to shield from the sun (but placed on your neck or as an elastic, on the head is too farm girl). Grunge is about comfort, so if it isn't comfy, ditch it. Don't be shy to try new things. For all you mainstream-ers waiting for a background here you go! This is an iPad and iPad mini background! Here is this weeks comic of the week: Made by the lovely artists at our blog. How To Be Hipster: Summer Coffee! Hey! We are just 2 people that just so happen to be named Lewis! We love the internet. When we met, we have loved talking about our amazing name so we were nicknamed Lewis and Lewis II. That basically our pre-story. Then we started this blog! We post an article almost every day and a weekly comic on Mondays (sometimes 2 comics if we both made one). Do you think you are hipster? Hello! This blog was made by two people, one who is constantly accused of being hipster and another person who is relatively mainstream. Together we branched to create this blog to help you guys live out your lives. Lewis AKA NotAHipster is constantly accused of being 'too hipster to function', where as Lewis II AKA Lewis Baulfetti II lives a basically mainstream life. We are here to tell you which path you follow. Remember to do our how hipster are you quiz to tell you which articles you should be looking at. Hey everyone! Remember to follow us down at the bottom and you could win member of the month! Your name will be posted up if you win! The People Who Make This!